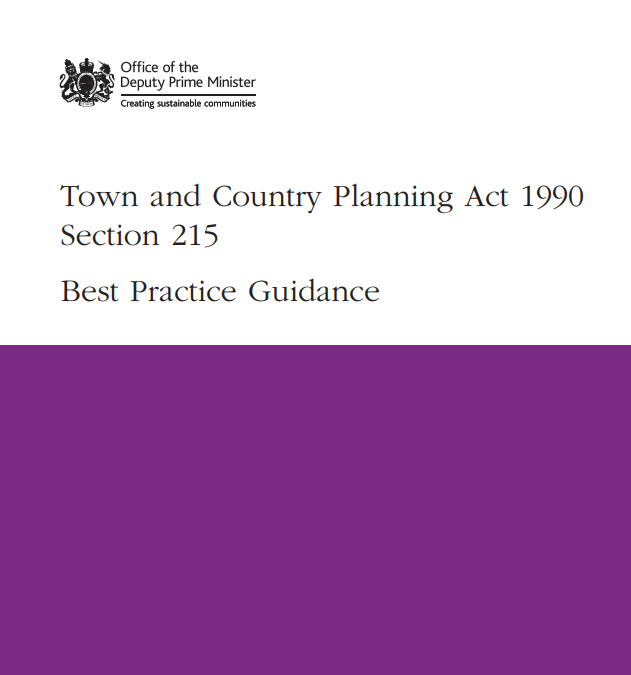 If the Local Planning Authority considers that the condition of land or buildings is having a harmful effect, or is adversely affecting the amenity of the area, they may serve a Notice under Section 215 of the Town and Country Planning Act 1990. LPAs should use s215 powers proactively; they should not just be complaint led. LPAs should certainly not be afraid of using s215 powers. LPAs have reported that it is a relatively straight forward power to use and that it can deliver extremely good results. …s215 notices may be used successfully is in relation to listed buildings and their setting, and especially useful in the enhancement of conservation areas. …The scope of works that can be required in s215 notices is wide and includes planting, clearance, tidying, enclosure, demolition, re-building, external repairs and repainting. Section 215 has been effectively used on town centre street frontages, rural sites, derelict buildings, large vacant industrial sites, and semi-complete development as well as the more typical rundown residential properties and overgrown gardens. In certain circumstances, early consideration of the use of s215 could prevent a need for use of s54 of the Planning (Listed Buildings & Conservation Areas) Act 1990 (Urgent Works Notice). The Notice may require certain steps to be undertaken by the owner of the land to remedy its condition. Failure to comply with a Section 215 Notice is an offense that could be the subject of a prosecution. In addition, the Local Planning Authority have the power to enter the land, carry out the work and charge the cost of such work to the landowner, which may also involve a financial charge on the land. 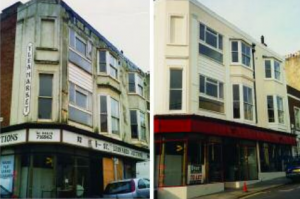 Historic England: Stop the Rot: Step by Step guide to s215 notices.